Millions of people, including a host of world leaders, march in Paris in an unparalleled show of solidarity with the people of France following a three-day spree of terrorist violence. 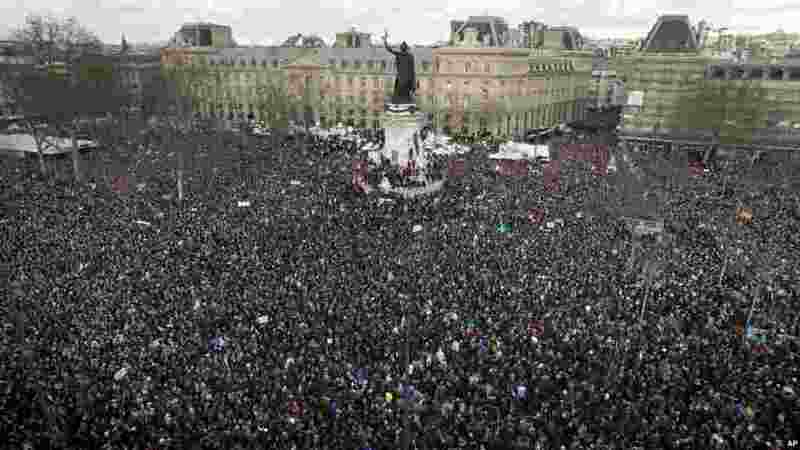 1 Thousands of people gather at Republique Square in Paris, France, Jan. 11, 2015. 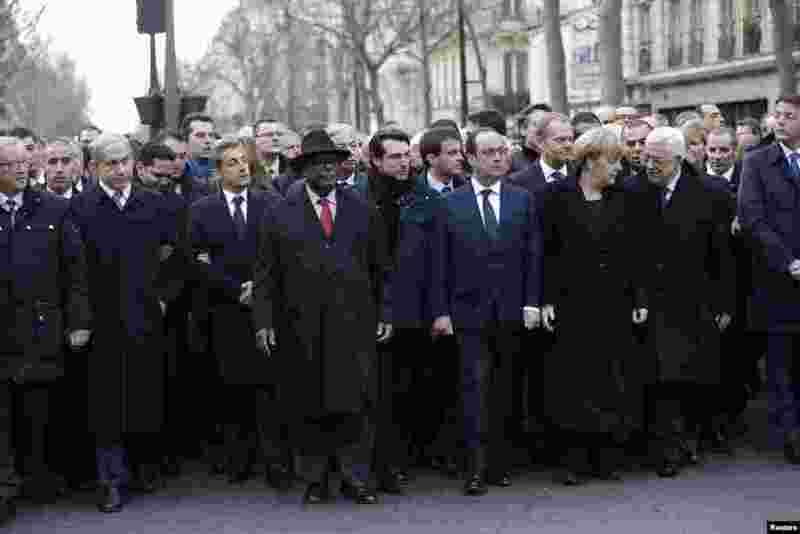 2 French President Francois Hollande is surrounded by head of states as they attend the solidarity march in the streets of Paris, Jan. 11, 2015. 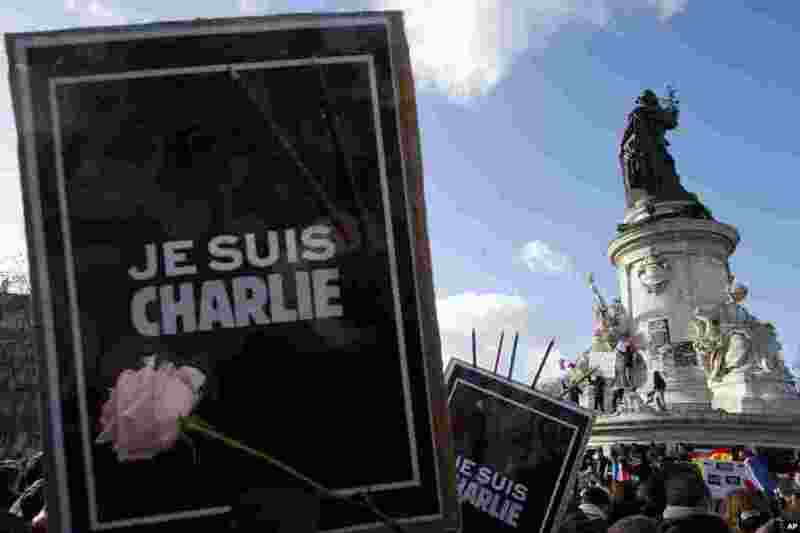 3 Protesters gather with posters 'I Am Charlie' at Republique Square in Paris, Jan. 11, 2015. 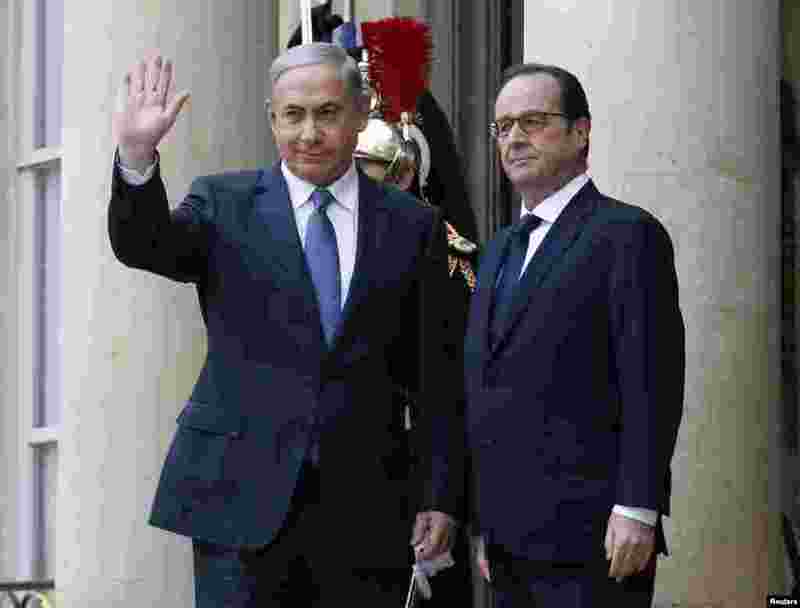 4 French President Francois Hollande (R) welcomes Israel's Prime Minister Benjamin Netanyahu (L) at the Elysee Palace before attending a solidarity march in the streets of Paris, Jan. 11, 2015.